The BBC is a treasured institution. But with a recession looming its sprawling tendrils and how they potentially damage legitimate commercial interests are becoming more obvious. It shouldn’t be surprising that rival media organisations put the boot in hard over issues such as ‘Brand-Ross.â€ They’re envious: as their own revenues are threatened , they see a BBC with guaranteed funding and very little to prove. 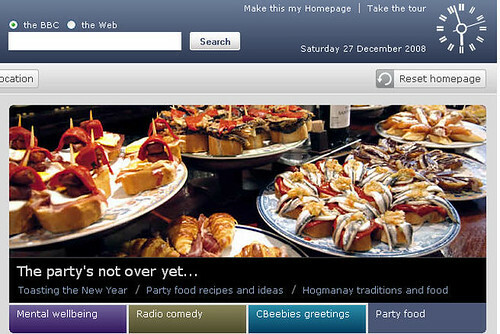 BBC.co.uk ran massively over budget in 2008 and since savings need to be found, the knife should cutback on producing unique content not related to programming. This will allow other to flourish and the BBC can concentrate on what it should be doing first and foremost: quality TV and Radio broadcast supported by online efforts. Jonathan Ross and Russell Brand: Offensive can be funny.